In the midst of the busiest travel season of the year—just before the holidays—the U.S. State Department has issued a Worldwide Travel Alert for all Americans. This may not come as a surprise due to recent terror attacks like those in Lebanon, France, Mali, and Nigeria, along with the weeklong lockdown in Brussels. But what may surprise some travelers is that this state of alert isn’t unprecedented. The alert will certainly affect your travel in one way or another, but perhaps not in the ways you’d expect. 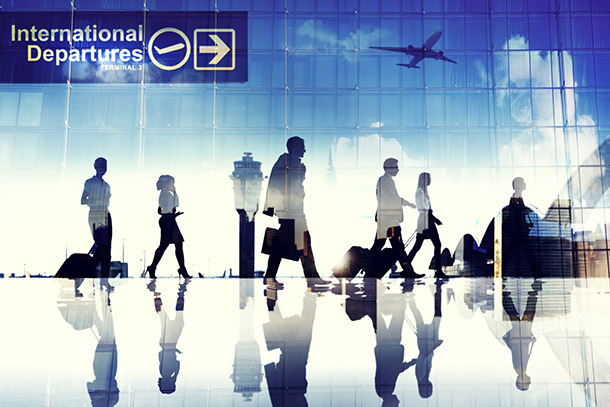 If you’re heading home or abroad in the next few months, here’s what you should know ahead of hopping on a plane, train, or bus. The most recent Worldwide Travel Alert before this one was issued last December, days after a lone gunman took 17 hostages at a cafe in Sydney, Australia. Another was issued in 2013, citing new government intelligence that signaled an attack was being planned; and two were issued in 2011 after several Al Qaeda leaders were killed. These alerts are usually prompted by large developments on the terrorism front. This Worldwide Alert’s main purpose is to keep travelers aware of the fact that authorities across the world are working against an increased terror threat, and to advise everyone to be vigilant of suspicious activity. In general, this will probably mean longer security lines and more time at customs, as well as an increased security presence in public spaces. However, security should start and end through official channels, as multiple airlines found out this week. Southwest and Spirit both had to address controversies after delaying or preventing passengers of Middle Eastern descent from boarding flights due to “complaints” from fellow passengers. Getting involved in security measures as a passenger is both unsafe and unnecessary. “See something, say something” is not the same thing as fear and prejudice. The alert expires on February 24, 2016. That’s not a calculated window of time specifically assigned to the increased risk of terrorism. It’s simply 90 days from the day the alert was declared. This allows officials to revisit the alert in three months and decide whether or not conditions have improved. With that in mind, don’t go into hiding until the end of February, but also don’t assume that it will be lifted by then. No one wants to think about the prospect of being at the site of an attack, but it’s best to be aware of your surroundings and anyone displaying suspicious behavior in case something does happen. Buy cancel-for-any-reason insurance that will let you abandon travel plans if something prevents you from traveling or makes you feel as if you should cancel. You can search for policies that fit your needs on sites like SquareMouth and InsureMyTrip. Follow Shannon McMahon on twitter @shanmcmahon_.